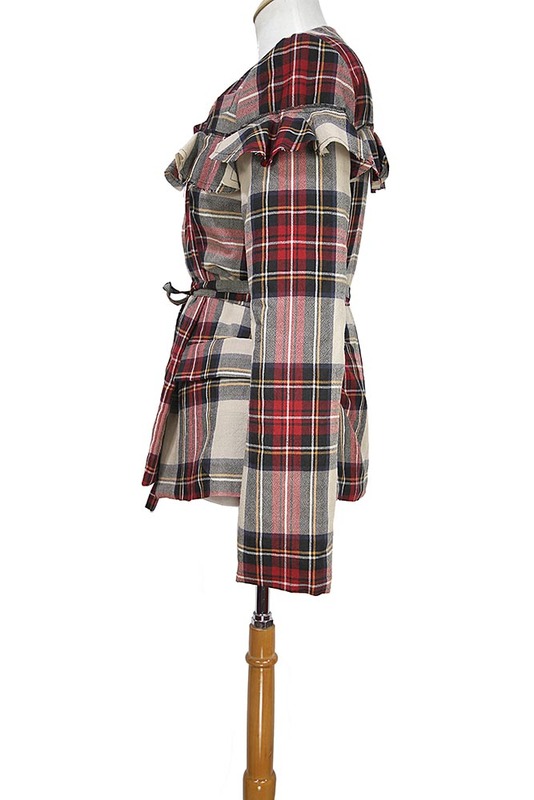 Barbara Bologna Area Possession Collection woven tartan, padded jacket 'Possession Jacket' in fine virgin wool, padded with polyamide. 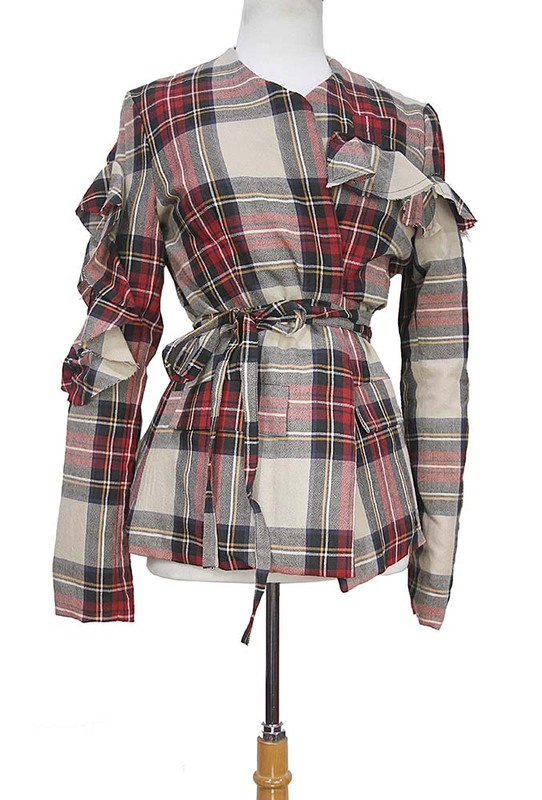 Open front with long fabric belt fastening. Long padded sleeves with cut-away section on right sleeve with raw edged frill finish. Attached curved frill on left side, with raw edges extending around over the sleeve to the rear. Finished hem. Fully lined. 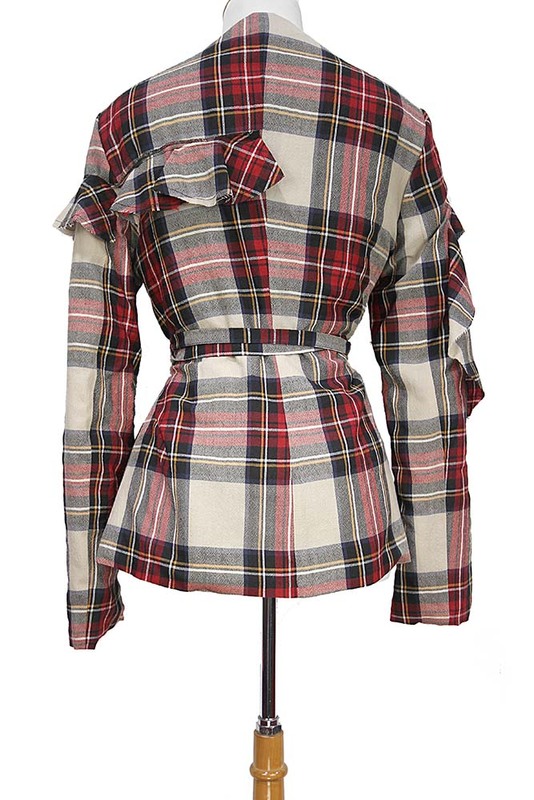 This stunning jacket matches the other pieces in the collection using the tartan fabric. Again a stunning garment, unique and very special! 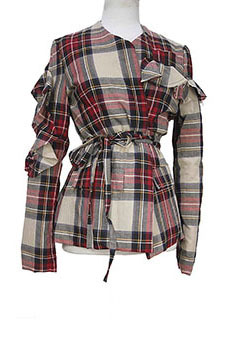 This garment is sized Large 14UK but is more a medium 12UK so we have entered its size as Medium 12UK.